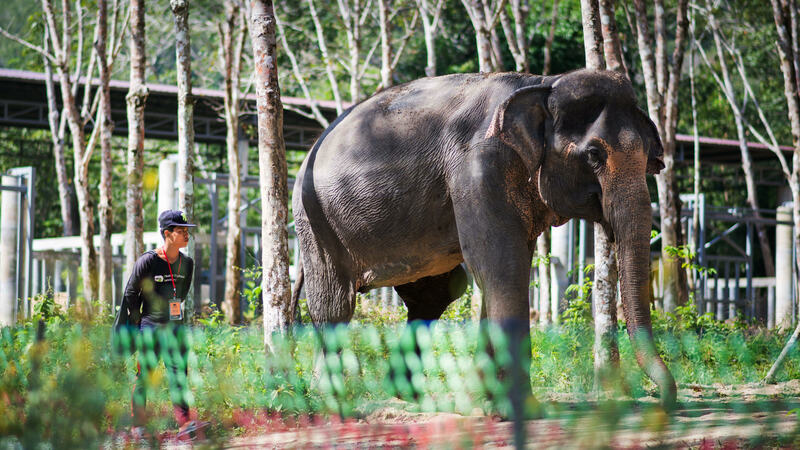 Madee is a true gentle giant. 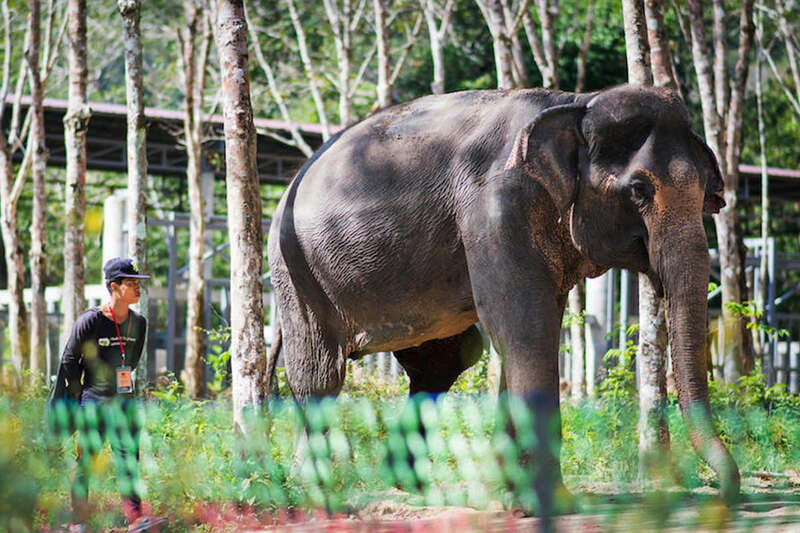 Peaceful and calm, she is 69 years of age and together with Kannika the first elephant to call Phuket Elephant Sanctuary home. 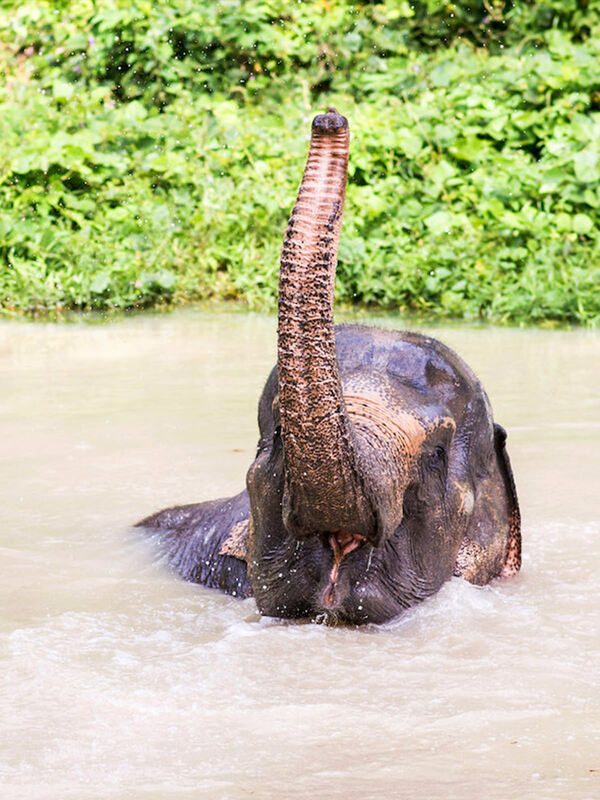 Her name means “The Arrival of Good Things”. 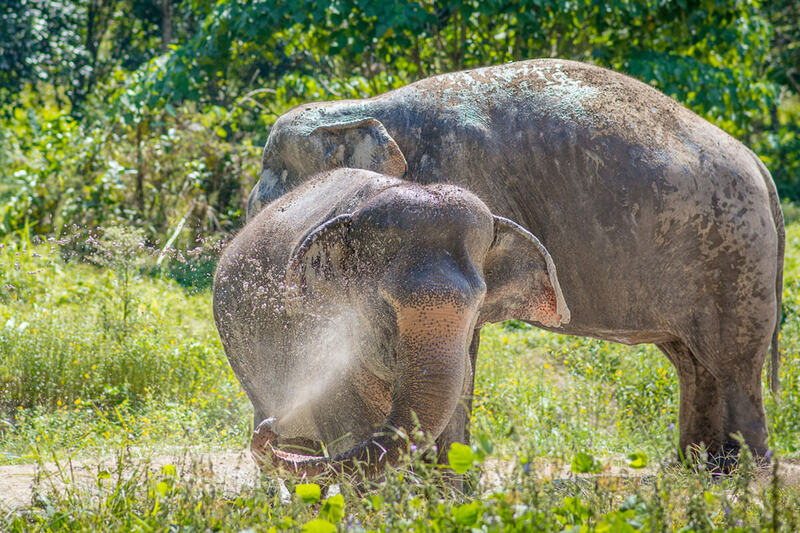 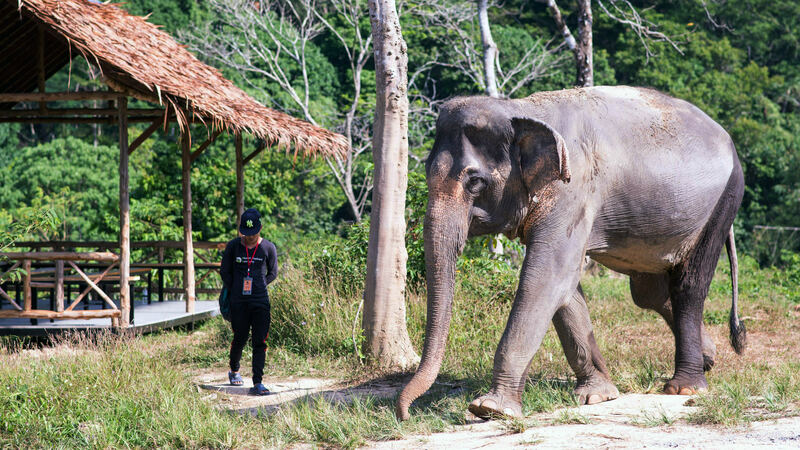 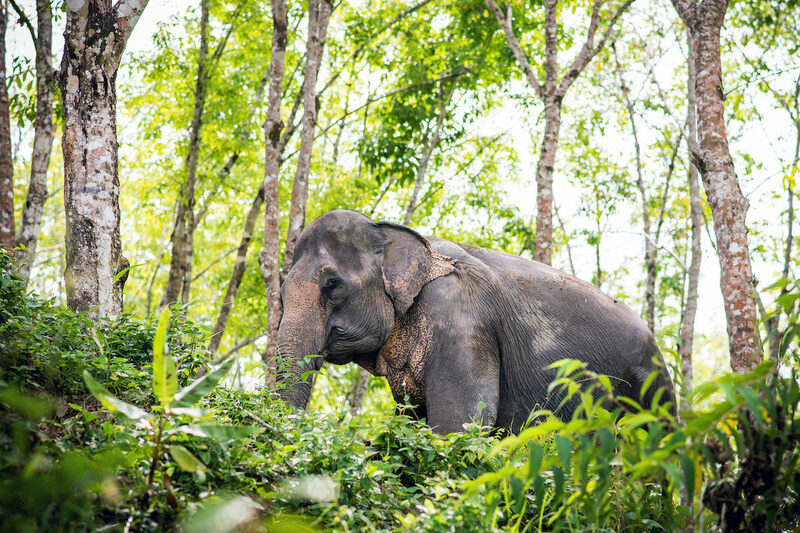 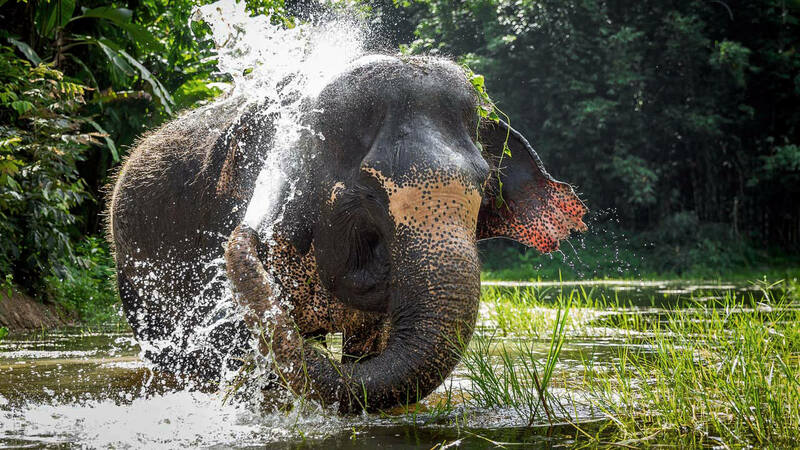 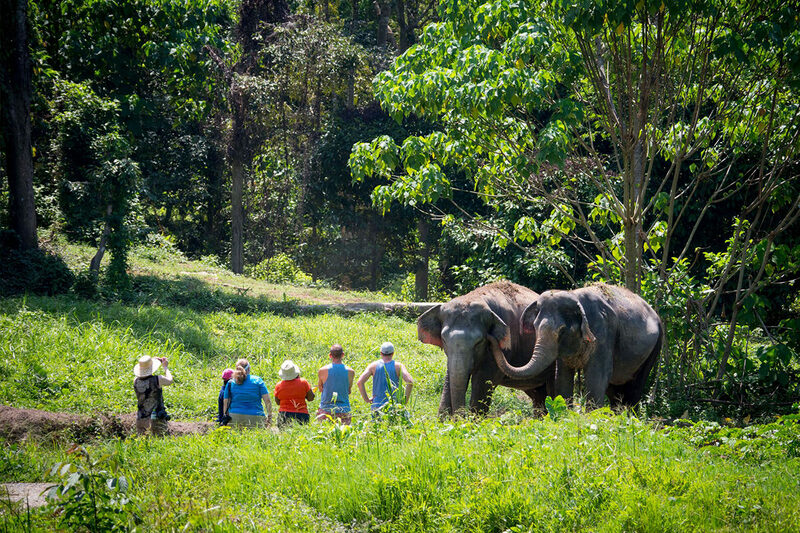 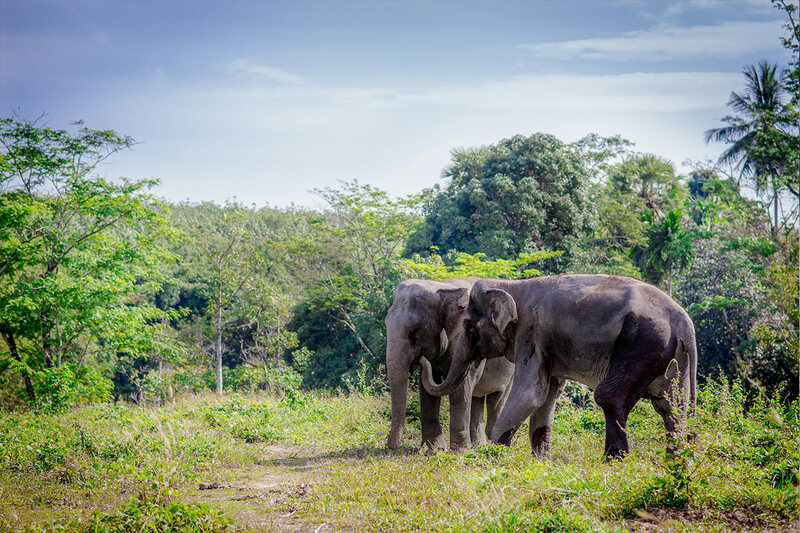 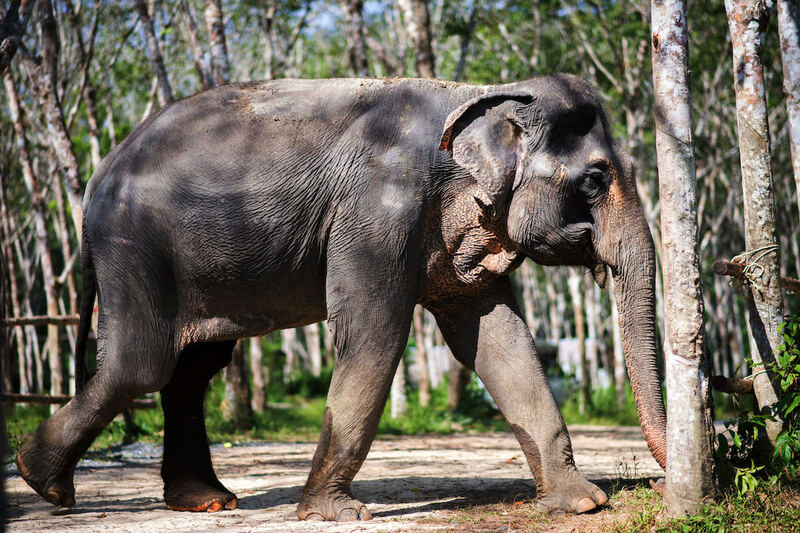 Madee spent nearly all of her life working in the Narathiwat province in Southern Thailand, and was moved to Phuket in 2009 to become a tourist elephant. 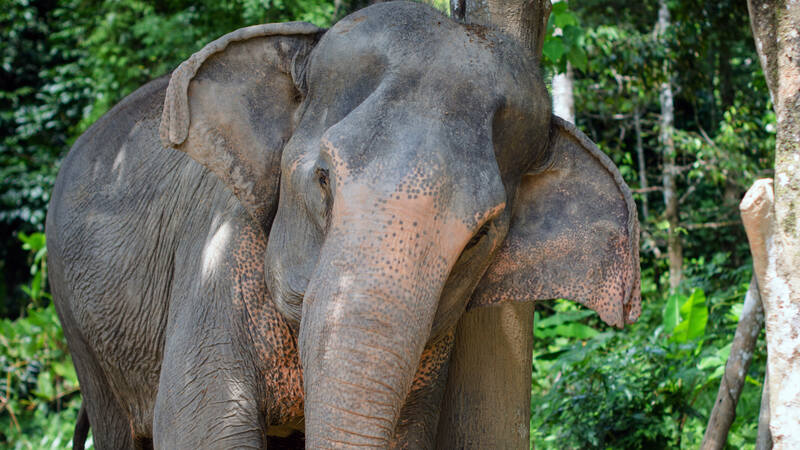 When she first arrived, her caretakers found open wounds on her left back leg and shoulder. 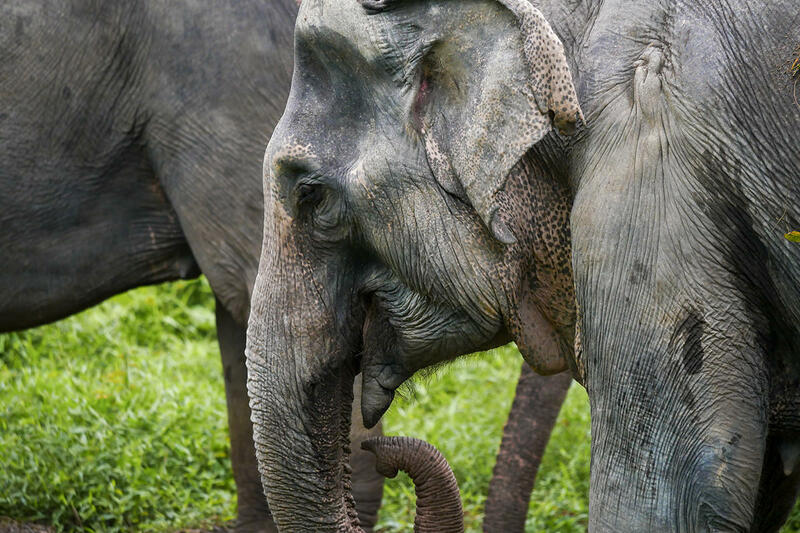 Despite careful examination the veterinarian could not identify the cause of these injuries which appeared to be very painful. 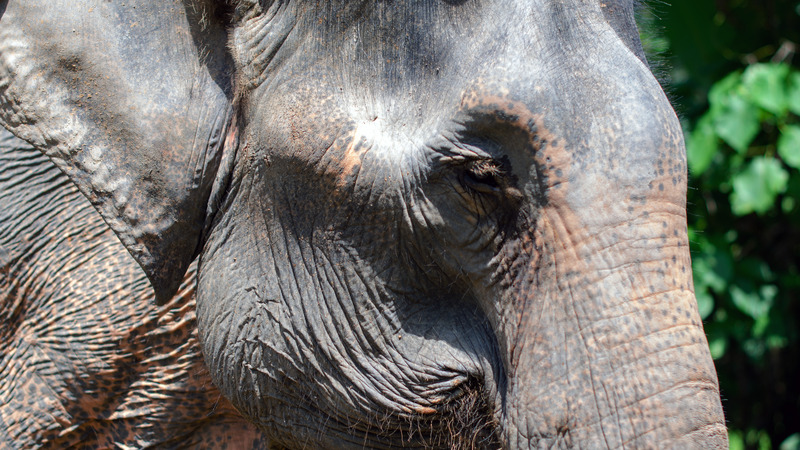 It is only when the mahout himself cleaned the wound for several days that he found the real cause: A bullet. 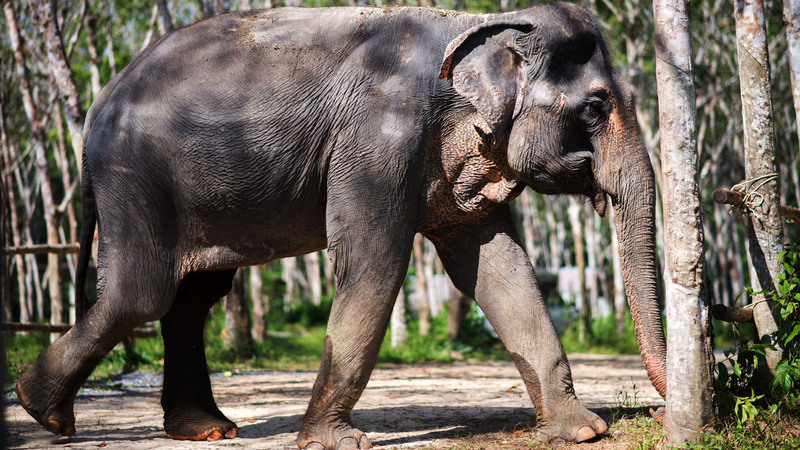 Most likely Madee was shot at by her previous mahout to make her obedient. 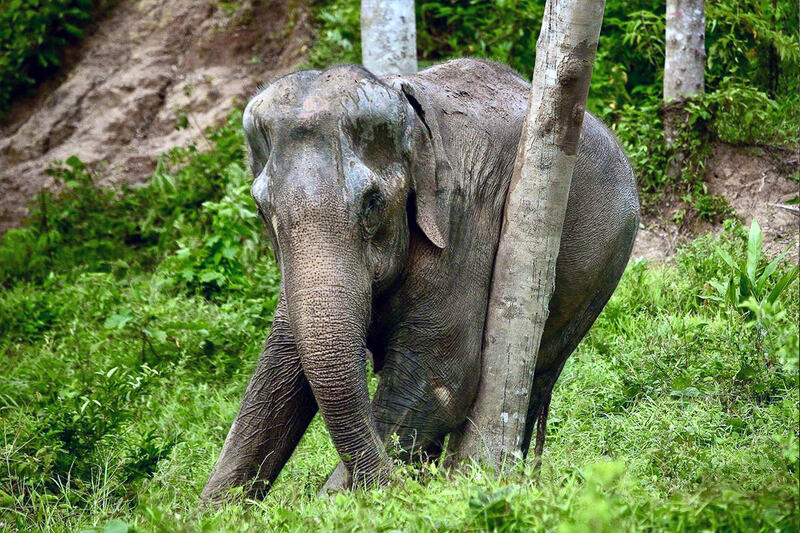 Luckily, the days of hard work and suffering are now gone and Madee started her new life in a beautiful natural setting along with Kannika on August 30, 2016. 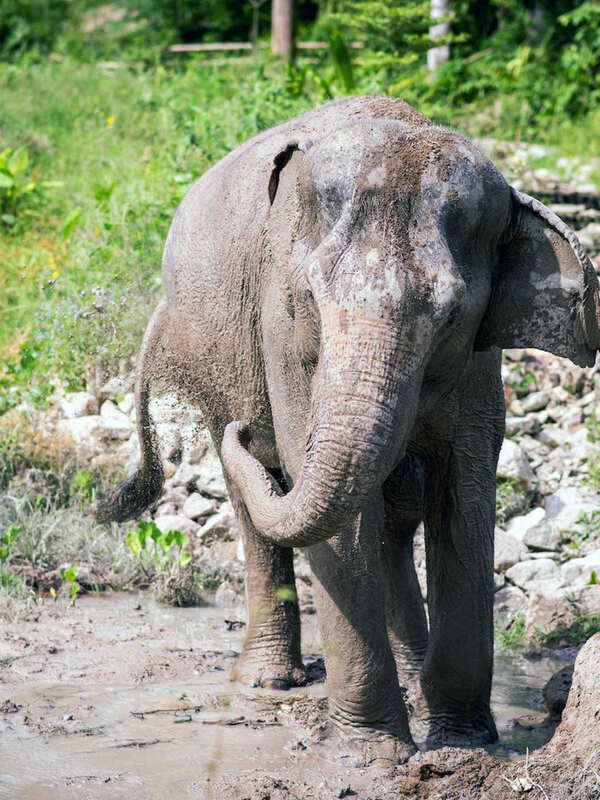 In her new big home, Madee is living a quiet and relaxed life. 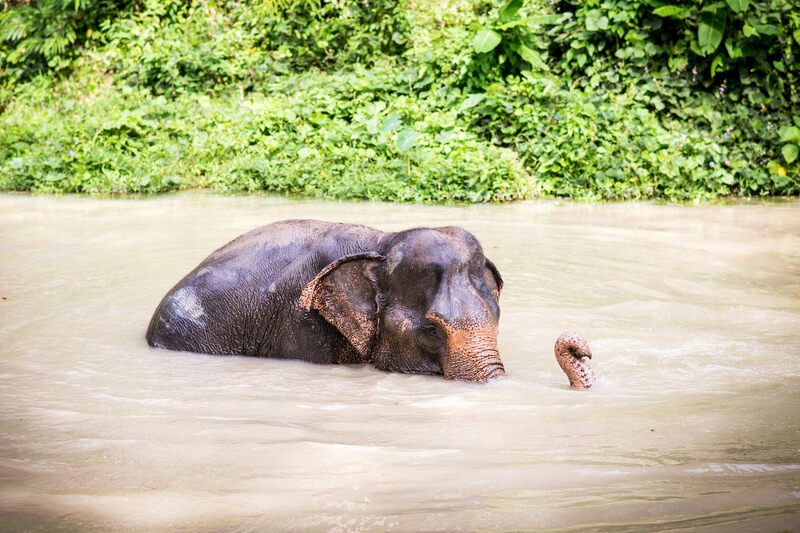 She prefers to spend many hours a day in our hydrotherapy pool to relieve her tired body, and is inseparable from her best friend Kannika.